I was so excited to pick up this book because a) I love the author and b) I love regency. I thought I had read just about every plot that could happen in a regency novel, but I was mistaken. In fact, I would say that this novel probably slipped more into gothic with creepy characters, middle-of-the-night happenings, and an interesting mystery. While reading this novel, I found that I sympathized with Miri’s character. She is so likeable. She has the weight of the world on her shoulders and she handled it as best she could. Ethan was another favorite of mine. His story of redemption was powerful and moving. I will say, that this novel probably moved way faster than most gothic/regency novels that I have read and I think the pace of the book was a bit distracting. Everything seemed to happen so quickly. Overall, I found it to be a fascinating read and quite the look into how the criminal society in London worked and how they deal with mental illness back then. Spiritually, Miri has to learn to trust God even when it looks like He isn’t moving (and boy did she go through) and Ethan has to learn to stay steadfast. The novel wasn’t quite what I expected, but I found it to be entertaining. Hospitality consultant Andrea Sullivan has one last chance to snag a high-profile client or she’ll have to kiss her dreams of promotion good-bye. When she’s sent to meet Scottish celebrity chef James MacDonald on the Isle of Skye, she just wants to finish her work as efficiently as possible. Yet her client is not the opportunistic womanizer he portrays himself to be, and her attraction to him soon dredges up memories she’d rather leave buried. For James, renovating the family hotel is a fulfillment of his late father’s dreams. When his hired consultant turns out to be beautiful, intelligent, and completely unimpressed by his public persona, he makes it his mission to win her over. He just never expects to fall under her spell. Soon, both Andrea and James must face the reality that God may have a far different purpose for their lives-and that five days in Skye will forever change their outlook on life and love. Please do not let the cover fool you! When I first saw the cover of this book, I thought it would be…boring. But I began to hear some good things about this novel and had to read it myself. So glad I did! This novel starts off by introducing you to Andrea Sullivan, a woman who is wounded and yet lovable. I really liked how the author slowly unraveled Andrea’s past and you could really see how it had impacted her life now. And Jamie. He’s a great hero. Flawed, yet wonderful. And the man can cook! I like how the novel doesn’t actually clear up everything in his past (and that of his family’s). Those little mysteries added depth to his character. I found the novel to be very romantic and I enjoyed watching Jamie and Andrea fall in love. I also liked that the novel took place in Scotland. The land became a character itself. Spiritually, I like the revelation Jamie gets about appearances and how he should be careful to reflect God more. I also enjoyed watching Andrea return to the faith of her youth. Good novel. This is an author to watch! I was hesitant about picking up this novel because I wondered how Ms. Lessman could move on from the O’Connors and still keep me thoroughly vested…with fabulous storytelling that’s how! I found her characters to be well-developed and completely engaging. I will say that though Cassie’s Texas colloquialism was a bit….much, I did not find her character silly or annoying. I was able to empathize with her and completely understand where she was coming from. 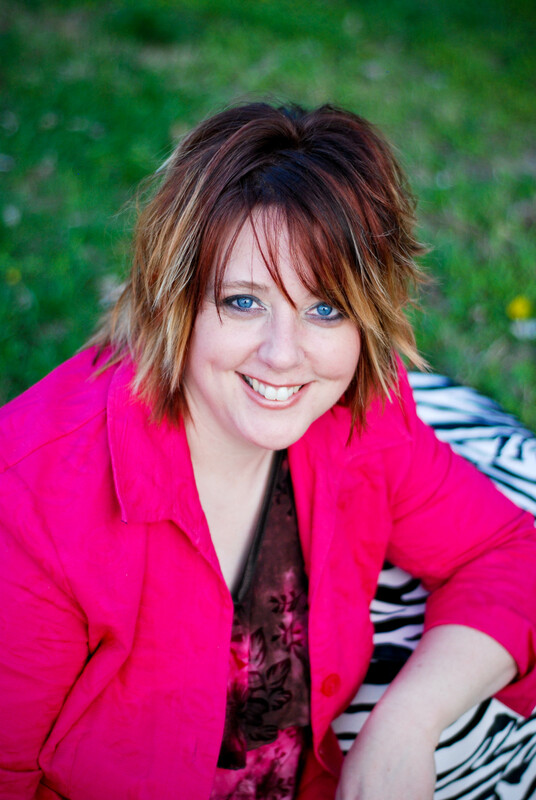 I loved her relationship with God, and though at times flawed, very real. I also liked Jamie. If you considered his background it was easy to understand why he was the way he was. My favorite secondary characters were Cait and Logan and that surprise at the end? Totally wasn’t expecting it. Now, just to be forewarned Ms. Lessman writes about passionate people, so her characters are not run of the mill “Christian fiction characters.” If that’s okay with you, than you’ll really like this book. I was sorry when the novel finished, but with a Julie Lessman book you know it’s never the end, merely the beginning because her characters more often than naught come back for a visit. Spiritually, I loved the theme of surrendering to God. Ms. Lessman adequately portrayed the difficulty and the payoff. Loved it! Looking forward to the next one! I’m so excited about these books that are coming out, I decided to share some of these covers today. Pink was not what Eleanor Braddock ordered, but maybe it would soften the tempered steel of a woman who came through a war–and still had one to fight. Eleanor Braddock, a spinster at 30, has long since dismissed any hope of marriage. But when a dying soldier whispers his final words, she believes her life can still have meaning and determines to find his widow. 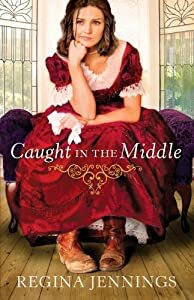 But this compassionate deed takes a harsh turn, and Eleanor finds herself dependent upon the richest woman in America and the most despised woman in Nashville–her aunt, Adelicia Acklen, mistress of Belmont Mansion. A clandestine act of kindness leads Eleanor to an unlikely path for her life–building an orphanage, a place that will house widows and orphans from the Civil War. 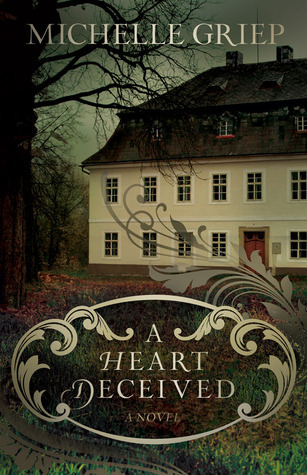 And while Eleanor knows her own heart, she also knows her aunt will never approve.Marcus von Quint, Archduke of the House of Habsburg and second in line to the Austrian throne, arrives in Nashville in search of a life he determines, instead of one determined for him. Collaborating with botanist Luther Burbank, Marcus seeks to combine his own passion for nature with his expertise in architecture. But his plans to incorporate natural beauty into the design of the orphanage run contrary to the wishes of practical, frugal Eleanor, who sees his ideas as costly nonsense. Yet as the construction project continues, Marcus and Eleanor find common ground–and a love neither of them expected. But Marcus is not the man Adelicia has chosen for Eleanor to marry, and even if he were, someone who knows Marcus’s secrets is about to reveal them all. Finding himself the man of the family, and with no other options, London dancing master Alec Valcourt moves his mother and sister to remote Devonshire, hoping to start over. 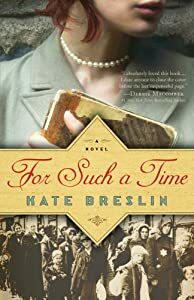 But Alec is stunned to learn the village is controlled by a wealthy widow who has prohibited all dancing, for reasons buried deep in her past. Alec finds an unlikely ally in Miss Julia Midwinter, the widow’s daughter. While initially wary of Julia’s reckless flirtation, he comes to realize her bold exterior disguises a vulnerable soul–and a hidden sorrow of her own. 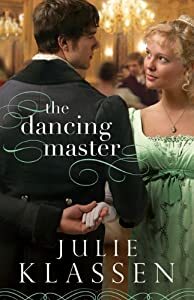 Julia Midwinter is instantly intrigued by the handsome dancing master–a man of whom her mother would never approve. She cannot fathom why he would leave London–or why he evades questions about his past. Together, can Alec and Julia bring new life to this quiet village–and to one woman’s hardened heart? The train to Garber, Texas, is supposed to bring Nicholas Lovelace to the next victory in his life and career. Instead, it gets held up by robbers who are thwarted by the last person Nick ever expected–Anne Tillerton from back home in Prairie Lea. Anne’s been working as a buffalo hunter and hiding from polite society. She’s only coming to town to talk their runaway cook into returning. Instead, the woman flees–and leaves Anne with her infant son. With Nick the only person she knows in town who can help, the two form an unlikely team as they try to figure out what to do with the child. Both soon find themselves stuck in complicated situations. To care for the child, Anne’s forced into polite society–and it’s not going well. Meanwhile, Nick is being pressured on all sides of his business, and being seen with Anne isn’t helping his reputation. Still he can’t quite seem to forget her and must make a choice between the leading of his heart and his plans for the future. Ellis Eaton has always felt she’s been a disappointment to her stuffy, traditional Boston family. Her sights are set on something entirely different: Hollywood. Though she’s captured the eye of Griffin Phillips, she knows that “dutiful wife” is one role she can’t picture herself playing–even if he makes her head spin and her heart quicken. Besides, Ellis seems to make a mess of any situation, despite her good intentions. She’s simply not worthy of an up-and-comer like Griff. When a look-alike childhood friend begs Ellis for a favor, Ellis finds herself working shifts at the city telephone exchange. At first Ellis believes this will be the acting practice she needs to prepare for life in the movies, but the job is far more complicated than she’d ever imagined, and Ellis finds herself in her usual scrapes. After accidentally overhearing a call that makes her blood curdle, Ellis fears for Griff’s safety. Then handsome policeman Jack Flanagan comes to the scene, adding to the mayhem. 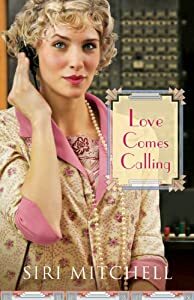 With her job on the line and her heart all a-muddle, Ellis unexpectedly discovers what might be her role of a lifetime. Are there any you looking forward to more than others? 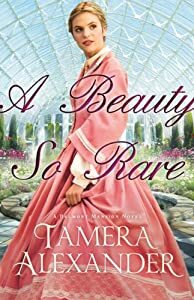 I know I’m looking forward to Tamera Alexander since she didn’t have a book come out yet this year. Julie Klassen’s novel sounds a bit…unique, but her books are so fabulous I still cannot wait! Welcome Back! And thank you for willing to be interviewed again! 1. I have often heard that the second book in a series is the hardest to write. Did you feel that way about The Remedy? 2. Finding the Remedy involves an old prophecy, clues, and then the Remedy itself. When did you write the prophecy (before or after they went on their adventure?) and at what point did you know what the Remedy was? Serena: Keep in mind that these two books evolved over 7 years of rewriting and revising… but there was a little of this and a little of that. Originally, when I got to that point of the story that needed the prophecy revealed/scrolls translated, I just wrote the poem. I was reading a lot of poetry right then—romantic poetry, of all things. Nothing like the riddled mess in The Remedy!—but it came rather swiftly and was kind of a fun way to go about figuring out how to turn riddles—riddles that I wasn’t even sure what they meant, myself!—into actual scenes and settings. But both the poem and the action it led to were revised countless times before the final version of The Remedy was published. 3. When writing fantasy-like novels, you can’t really do research, so what kind of preparation do you find yourself doing? Serena: There is always research, even when you’re making up everything about the world. I’ve read a ton of material on weapons, ships, clothing, pirate history, sea creatures, travel times, topography – sometimes you even have to go back and reread your own work to figure out how long it takes a character to get from point A to point B. I spend a crazy amount of time on Pinterest, finding images that speak to the story. (I have boards for the Eyes of E’veria series as well as one specifically for Book Three!) But the biggest way I prep for writing? Believe it or not, I listen to a lot of music. I know the basic structure of the book going in (especially with this series, since I’m starting each 2-book set with a known fairy tale!) I also have a pretty good idea of the story arc, the theme, and how I want to see the characters grow over the course of the novel. I make a ton of playlists of modern music with lyrics that speak to the characters’ personalities and situations. I burn CDs and take them in my car (some of my best scenes have come to me while driving!) But when it comes to the actual writing? No words, please! While writing, editing, and revising, I listen to instrumental music—mostly movie soundtracks. 4. What is the ‘one thing’ you wanted to convey to your reader with The Remedy? Serena: That would be Rynnaia’s realization: “I am known and I am loved.” – I think it is the cry of every heart. We may not go through the sort of identity crisis Rynnaia does over the course of the two books, but we long for the same sense of belonging, of being loved, not only by the people we love, but by God. It’s a pretty big deal. To recognize and accept that, out of all the people in the world, all the beauty, all the universe . . . the One who created it all KNOWS and LOVES you on a personal level? That’s huge. That’s what I hope my readers will see and take to heart through her story. Serena: Oh, Caz! He is such a popular boy! I don’t want to give away too much yet . . . but yes, Captain Cazien de Pollis shares the POV spotlight with Erielle de Gladiel in books 3 & 4, which take place fairly quickly after The Remedy’s end. And they are both excessively fun characters to write! But don’t worry: I won’t be finished with Caz at the close of book 4. He’s too much fun! (And I have too much backstory written about him to let it go to waste.) So here’s a little teaser: I have a couple of Eyes of E’veria prequel novellas in the pipeline—and at least one of those is entirely focused on Cazien’s mid-teen years, his “errand”, and his legacy. In that book, our fair pirate is fifteen years old and not yet a captain. That being said, I think readers are anxious to see what will become of Captain Cazien as they “know” him now—at 19/20 years old. Plus, readers are curious to see what comes of all those cryptic remarks he made about Erielle in The Ryn and The Remedy—so I don’t think they’ll mind waiting for that peek back in time! Thanks for the interview, Embassie! I’m glad you enjoyed the books! I find Ms. Hunter to be a fabulous storyteller with loads and loads of romance. However, it is inevitable in her novels that someone will have a big secret. Therefore, the issue for me comes down to how they handle “the secret.” I’ll get back to that. My favorite person in this book was hands down Beckett. I found him to be complex and fascinating and everytime he was on the pages I paid attention. Though I will say, I felt he made life harder than it needed to be at moments. And frankly, I didn’t like Madison so much. She seemed particularly angry all the time. For the first half of the book, I almost flinched each time she insulted Beckett. Though, she had a reason (no, she was not a meanie on purpose), to me there was clearly miscommunication going on and I felt like she chose to blame as opposed to finding out what really happened. And then “the secret” was revealed and she handled it…badly. Now let me just say that Ms. Hunter is a wonderful writer, the novel pulled me in. I just found that I wasn’t a fan of Madison. Spiritually, I love how the novel shows the importance of giving your burdens to the Lord. Only he can give you peace, particularly in bad situations. I also love how the book showed how God can transform a life from something bad into something great. Though this novel was not a favorite, it was still a page-turner for me. It’s a summer of change for Jennifer O’Malley. The busy physician has a pediatrics practice in Dallas, and meeting Tom Peterson, and falling in love, is adding a rich layer to her life. She’s sorting out how to introduce him to her family–she’s the youngest of seven–and thinking about marriage. She’s falling in love with Jesus too, and knows God is good. But that faith is about to be tested in a way she didn’t expect, and the results will soon transform her entire family. Having read the O’Malley series, I thought this novella wouldn’t be as interesting since I already knew what would happen. Well I was wrong. I found myself flipping those pages quickly. It just goes to show that Ms. Henderson is a fabulous storyteller. While I happen to find that Ms. Henderson’s romance novels have a tendency to come off as more logic-driven than romance-driven (and this one is no different), I found Tom’s love for Jennifer to be so sweet. I imagine it cannot be easy to be committed to someone who has possible long-term health issues. So, I loved Tom. I liked his personality, I liked how he treated Jennifer, I liked how he pursued her, and I liked how he stayed. In the other O’Malley series, I thought Jennifer was a bit more light-hearted(or romantic) than she came across in this book, but I suppose I could see how she might not have been as well. Also, in spite of the fact that I read this book knowing the end, I still teared up with this book. Spiritually, I like how Tom gently led Jennifer to the Lord (though he appeared to be missionary dating!). And seeing how Jennifer came to know Christ didn’t come across as corny in anyway. Loved the emphasis on the fact that God is good.